A 5-year-old girl was killed in a house fire in Englewood Friday morning, the Chicago Fire Department said. 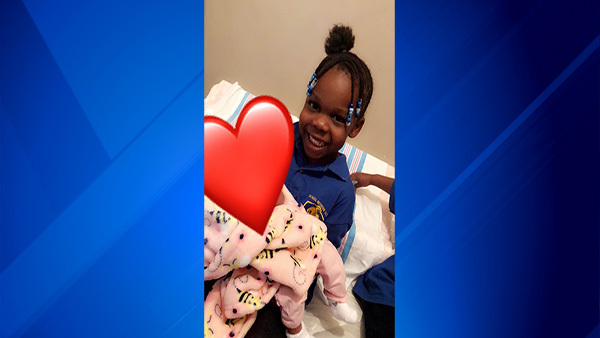 CHICAGO (WLS) -- A 5-year-old girl was killed in a house fire in Englewood Friday morning, according to the Chicago Fire Department. The fire broke out at a home near 58th and May streets and flames were seen spreading to a second home. A third home was evacuated because of the fire and the fire was struck by around 7:30 a.m. Firefighters responded to the home within four minutes of the 9-1-1 call. A child was killed in a house fire in Englewood Friday morning, the Chicago Fire Department said. "Never gets easier, and the more you see, the harder it is sometimes," said Chicago Fire Deputy Chief Thomas Carbonneau. Fire crews ran inside and tried to save the girl, but said it was too late. "The person told us where they thought the child was and we went there right away," Carbonneau said. Family members said the girl's name is Kaitlynn. She was found in bed on the top bunk on the first floor. Fire crews believe she was overtaken by the smoke and still asleep at the time of the blaze. "She was just so sweet. She was just the sweetest baby every, just the sweetest little girl ever," said Kevin Nowell, the girl's grandfather. Nowell tried kicking the front door in to try and save Kaitlynn but said a Chicago police officer stopped him from going back in the house. "He stopped me from kicking the door and asked me for my ID," Nowell said. "What good is my ID when I'm trying to get my grandbaby out of there? What good is my ID? What is that going to help?" "If it had been his daughter, he would've did everything in his power," Sharon Burch, another relative of Kaitlynn, said of the police officer. CPD says it reviewed body cam video and it does not appear that officers tried to stop Nowell. Kaitlynn was one of three kids inside at the time of the fire, but the others were able to escape. Kaitlynn was a kindergarten student at Nicholson Elementary School. "She would hug everybody and she would say, 'I love you,'" said Ava Temple, a resource coordinator at Nicholson Elementary School. Temple was waiting for that hug Friday when she heard the news. "I'm just going to miss her," Temple said. The cause of the fire is under investigation. Firefighters said there were smoke detectors on both floors, but the smoke detector on the first floor, where the fire broke out, was not working.